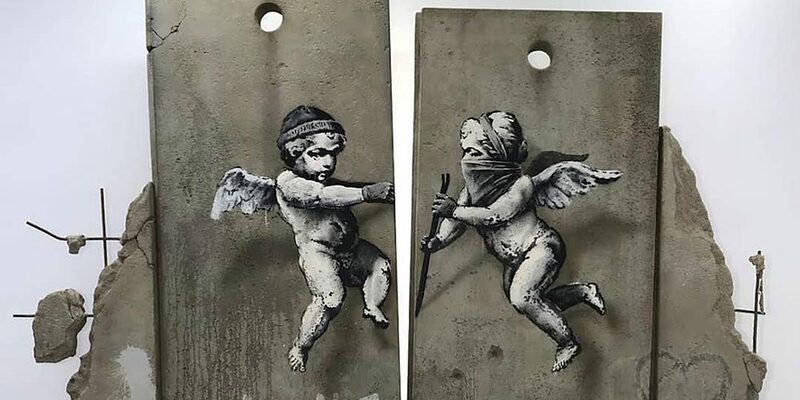 Banksy has announced that he has registered for the London World Trade Fair that’s taking place at London Excel Centre on November 6 and 7. His replica separation barrier to promote the Walled Off hotel will be on display, and he will be giving away “free stuff” at the Palestine booth. Needless to say, you should probably find a way into this event if you’re in London. Have a look at the artist’s post below. UPDATE 10.6.18: Banksy just revealed his new Free Palestine poster that will be given away at the World Trade Fair. There are only 1000 posters to distribute on each day, but you can download one for free via his website as of today.